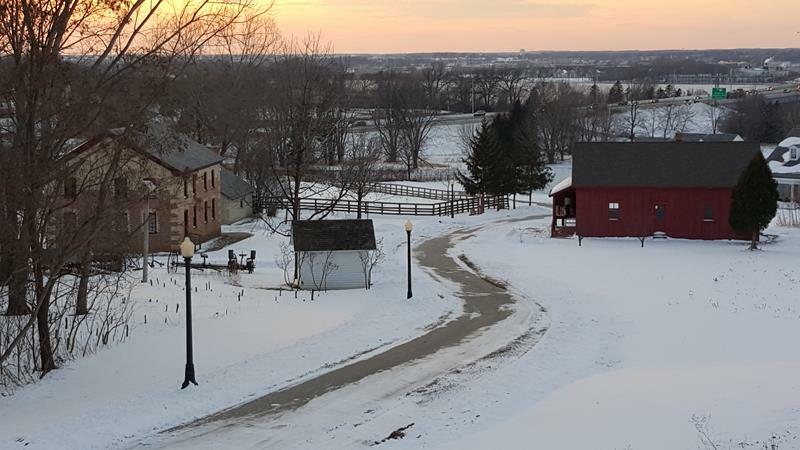 As its name implies, Heritage Hill State Historic Park is a 48-acre outdoor museum filled with historic structures adorning a lovely hill that offers views of the Fox River, Lambeau Field, and even towards downtown Green Bay (more so when the leaves aren’t on the trees.) 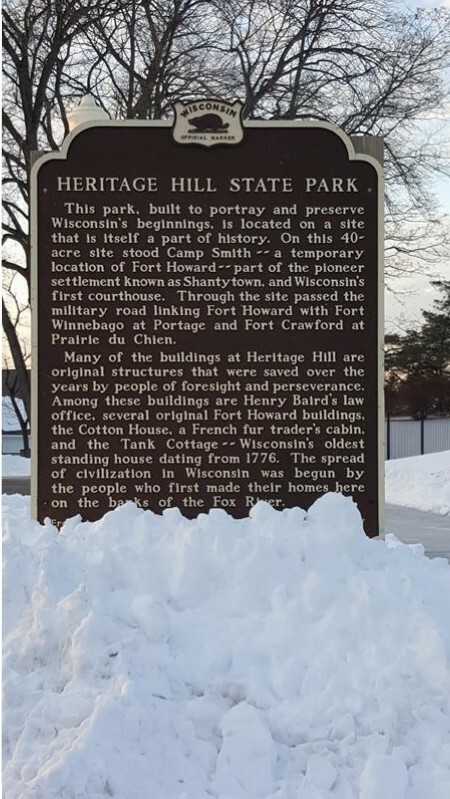 Over 30 historic structures from fur trade-era log cabins to original stores and even buildings from Fort Howard, which gave rise to Green Bay, dot the hill. 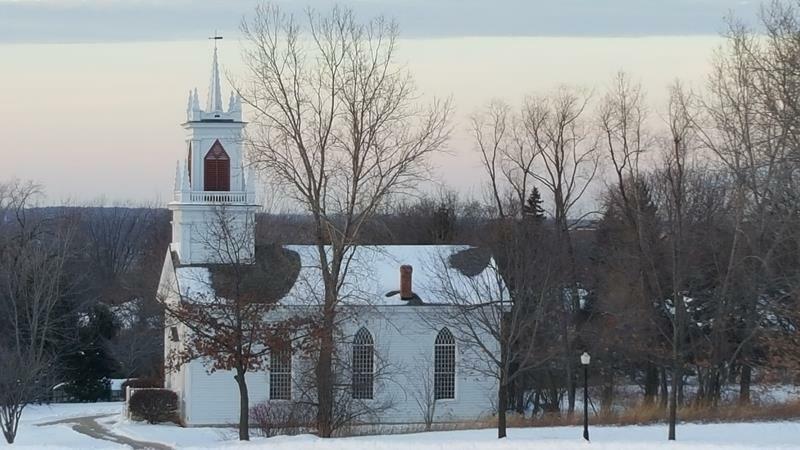 There’s a Belgian farm and Moravian church on the grounds, as well as a newer educational center for classes and program and even events, which are increasingly popular here. Many events take place here throughout the year. You’ll find Heritage Hill along the east bank of the Fox River in Allouez, just north of where Highways 57 and 172 (the freeway that serves southern Green Bay) meet. Highway 32 is just across the river; I-41 is also just to the west, and Highways 29, 54, and U.S. 141 are just to the north. It’s very easy to get to! 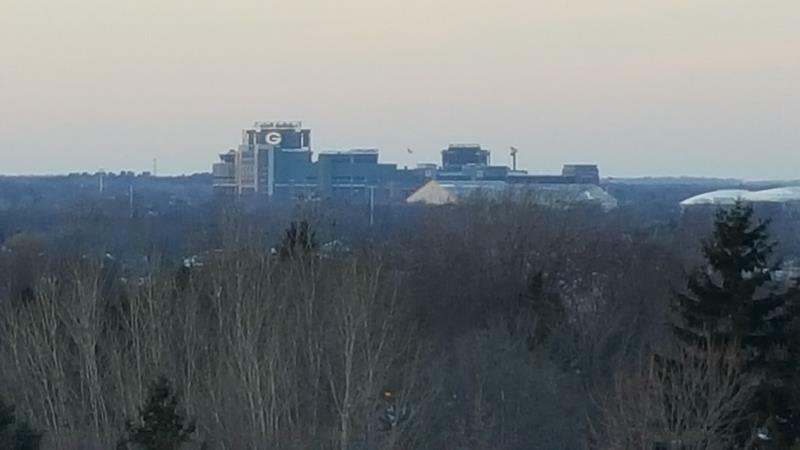 Lambeau Field is THIS close to Heritage Hill.